For those of us whose innate geeky-ness extends beyond sports and well into hyperspace, this week marks the anniversary of a watershed moment in our lives. It was 35 years ago that a modest little sci-fi movie exploded out of the head of the bespectacled, bearded, not-yet-corporate-demon who’d made American Graffiti and sparkled onto theater screens across the country, forever altering the lives of a generation of complete dorks. Even if you’ve never seen it (and seriously, to have deliberately not seen it at this point suggests such a desperate attempt at superiority that it borders on sadomasochism), you can appreciate how it permanently impacted the landscape of film, television, merchandising, classical music, popular culture, capitalism, cursive handwriting, astronomy, poetry, French kissing, meteorology, politics, Mountain Dew, religious freedom, and the metric system. WHILE WE WERE WAITING IN LINE FOR STAR WARS: The Cleveland Browns traded away their most recent “franchise” quarterback and were dilly-dallying through a lousy draft and a fruitless offseason with a head coach who wouldn’t survive the forthcoming season. WHAT’S DIFFERENT TODAY: Unlike Forrest Gregg, Pat Shumur doesn’t wear plaid pants. WHILE WE WERE WAITING IN LINE FOR STAR WARS: We were trying to comprehend what “The Force” really was. WHAT’S DIFFERENT TODAY: We look back upon the reign of the Cleveland Force of the Major Indoor Soccer League as a golden era in Northeast Ohio sports history. WHILE WE WERE WAITING IN LINE FOR STAR WARS: Donna Summer was topping the charts with an angelic voice crooning over an irritating disco backbeat. WHILE WE WERE WAITING IN LINE FOR STAR WARS: A future Hall of Fame pitcher (Dennis Eckersley) threw a no-hitter for the Indians, less than a year before being traded away to a big-market team for table scraps. WHAT’S DIFFERENT TODAY: No Indians’ pitcher has thrown a no-hitter yet. 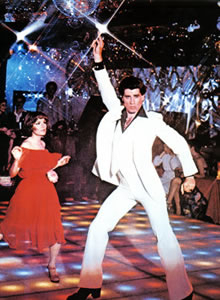 WHILE WE WERE WAITING IN LINE FOR STAR WARS: Through starring roles on Welcome Back, Kotter and Saturday Night Fever, John Travolta was a big deal. WHAT’S DIFFERENT TODAY: John Travolta is still a big deal, though now because he’s allegedly been grabbing the sweathogs of male masseuses. WHILE WE WERE WAITING IN LINE FOR STAR WARS: Fresh off an early playoff exit, the injury-plagued Cavaliers quickly realized they needed to rebuild the entire roster. WHAT’S DIFFERENT TODAY: The hair is shorter, the shorts are longer, and the injuries are more depressing, but they’re still rebuilding. WHILE WE WERE WAITING IN LINE FOR STAR WARS: The U.S. House of Representatives was in the midst of a three-year investigation into the assassinations of JFK, RFK, and Martin Luther King, Jr.
WHAT’S DIFFERENT TODAY: The U.S. House of Representatives is in the midst of a three-year investigation into the typesetting on Barack Obama’s birth certificate. WHILE WE WERE WAITING IN LINE FOR STAR WARS: The New York Yankees, fresh off a free-agent spending spree that would make MC Hammer look like Ebenezer Scrooge, were on their way to a world title. WHAT’S DIFFERENT TODAY: Absolutely nothing. WHILE WE WERE WAITING IN LINE FOR STAR WARS: After a miserable inaugural season, the Cleveland Barons were trying to figure out how to survive in the NHL in a recession-torn market. WHAT’S DIFFERENT TODAY: Somebody in city hall is considering bringing the NHL back to Cleveland by trading the Cavs for the Columbus Blue Jackets. WHILE WE WERE WAITING IN LINE FOR STAR WARS: Elvis died. WHAT’S DIFFERENT TODAY: Elvis lives. 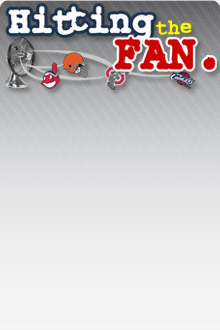 WHILE WE WERE WAITING IN LINE FOR STAR WARS: The Indians were drawing 11,000 fans per home game. WHAT’S DIFFERENT TODAY: The Indians are drawing roughly 43 more fans per night, but that will soon fall off because they no longer have the drawing power of all-blood-red uniforms. WHILE WE WERE WAITING IN LINE FOR STAR WARS: The first Apple computers went on sale. WHAT’S DIFFERENT TODAY: We wait in line to buy Apple computers on which we'll watch Star Wars. WHILE WE WERE WAITING IN LINE FOR STAR WARS: A team by an ocean won the NBA title. WHAT’S DIFFERENT TODAY: A team by an ocean will still win the NBA title. In other news, the city of Portland, which hasn’t won a title since the ’77 Trail Blazers, is no longer recognized by either the NBA or the Pacific Ocean. WHILE WE WERE WAITING IN LINE FOR STAR WARS: The value the average new home in the U.S. was about $54,000. WHAT’S DIFFERENT TODAY: Despite an price-inflation increase of about 65%, the value of the average new home in the U.S. is still about $54,000. WHILE WE WERE WAITING IN LINE FOR STAR WARS: Kerry Wood was born. WHAT’S DIFFERENT TODAY: Kerry Wood’s career just died. 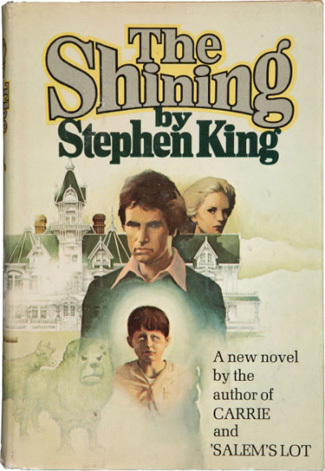 WHILE WE WERE WAITING IN LINE FOR STAR WARS: Stephen King’s iconic novel The Shining was released, prompting widespread fears of empty hotels. WHAT’S DIFFERENT TODAY: A kicked drug addiction, a failed upset bid with a speeding van, and 46 books later, Stephen King is finishing up the sequel to The Shining. And considering the cost of gas and how little Americans are currently spending on travel, empty hotels are so commonplace they’re no longer anything to be afraid of. 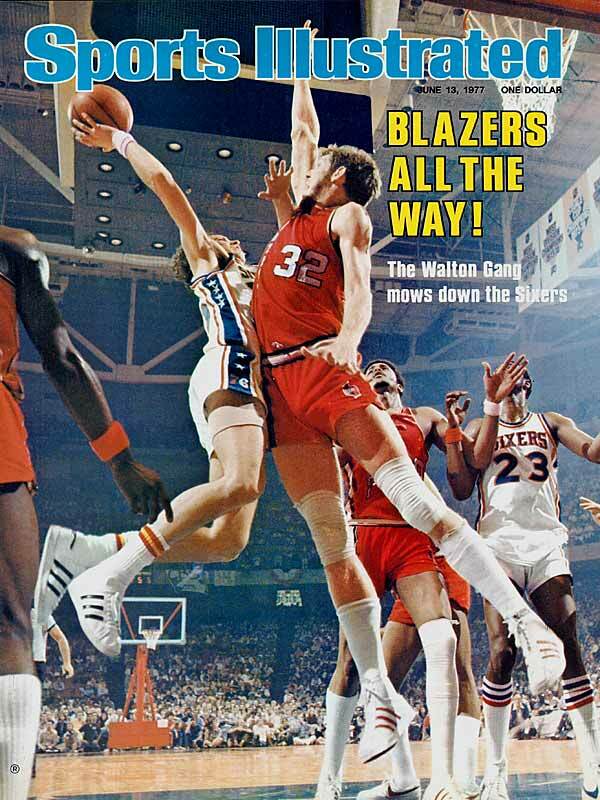 WHILE WE WERE WAITING IN LINE FOR STAR WARS: Bill Walton was the MVP of the NBA Finals. WHAT’S DIFFERENT TODAY: Since he’s now with the Cavs, Bill’s son Luke Walton is as far from an NBA title as Star Trek is from Star Wars. No doubt things were different back in ’77, but there are more than a few things from a long time ago that prove that galaxy wasn’t so far, far away from this one.